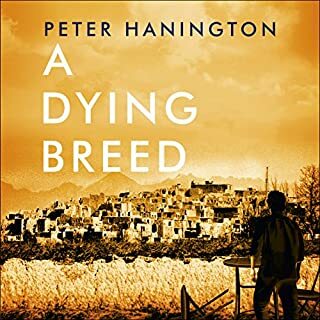 Hanington has clearly studied John le Carré's moody, grim and sleazy brand of spy thriller. I would have thought this was the work of the master himself. A grand tale of disillusionment and redemption as a couple jaded and overlooked old-guard Englishmen are given one last chance to do the right thing in defiance of an establishment thoroughly at peace with its own larceny. Jonathan Keeble gives a perfect performance with a full range of authentic English accents. An Algerian drug runner is savagely executed in the desolate outskirts of Paris. This seemingly isolated event leads to the recall of Agent 007 from his sabbatical in Rome and his return to the world of intrigue and danger where he is most at home. The head of MI6, M, assigns him to shadow the mysterious Dr. Julius Gorner, a power-crazed pharmaceutical magnate, whose wealth is exceeded only by his greed. Tristan must have never watched a Bond movie. Worst James Bond story EVAR! Would you try another book from Sebastian Faulks and/or Tristan Layton? Would you ever listen to anything by Sebastian Faulks again? No. 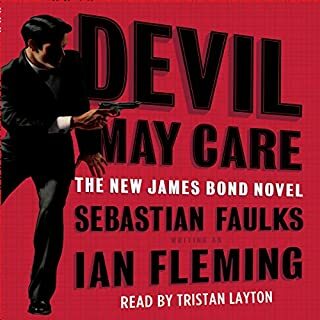 The story makes no sense, the characters' motives are absurd and James Bond behaves like the worst, most incompetent spy in the world. Its a terrible story, and screams with the most clichéd Bond stereotypes of a philandering drunk out to use violence to perpetuate western hegemony. Ian Fleming was no Shakespeare, but at least his stories made sense, his characters were plausible, and Bond had redeeming qualities. This is just rubbish. What didn’t you like about Tristan Layton’s performance? His foreign accents are pitiful. If you're that bad at accents, don't try. Just read the characters naturally. Save your money or credits. Get something else. Jeffrey Deaver's Carte Blanche is a much better story. 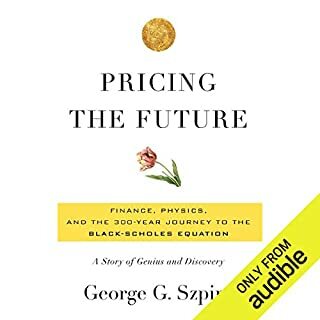 If you're interested in the history of finance and financial theory, then yes this is a nice soft introduction. The author does a reasonably good job of spicing up the fairly dry material with interesting stories that help place the events in their historical setting. The book is filled with names, terms and phrases from French, Spanish, Latin and other languages. The narrator absolutely butchers the pronunciation of these. I really wish they'd at least given him a language coach for these bits of the book. It would be comical if it wasn't so sad.